It took some digging but I finally found the Burgerville cup in my compost pile. It's looking pretty soggy and would tear apart at the slightest tug. I'm guessing it needs about four more months. Seeing is believing and right now I'm finding the Burgerville's compostable cup claim hard to imagine. Here is a post about the program from their blog. Basically the soft drink cups are printed up saying that they are "compostable." I'm all for that. We should reduce the amount of garbage headed to our landfill. It just seems like this will take a really long time to compost in the earth machine on the side of my house. All paper products are biodegradable if you give them enough time, but I'm assuming the Burgerville cups will quickly disintegrate with the rest of my table scraps and yard debris. This post will follow the progress of the compostable cup from the day I put it in there, 3/15/10 until the day I cannot find it anymore. I'm also wondering why they don't just give us cups that are recyclable. By the way, when are we getting a Burgerville in Salem? Once again, the capitol city is treated like a cultural wasteland by a quality chain store. And putting it in Keizer Station is not the same thing as putting one in Salem. The parking lot there is so darn confusing I have to ask for directions just to get out and onto I-5. Maybe they should just postion that Nomad thing in the parking lot of K-Mart on Mission St. full time. They would have a line of customers down the block, including me. All of our backyard compost piles would be full of their cups. Bookmark this blog and follow the compostable cup disintegrating in the earth machine on the side of my house. I was wondering if anyone else out there would find my compost heap interesting. I was considering throwing a regular soda cup in there as the control. Probably seen to many episodes of Mythbusters. Filbert, I sent an email to Burgerville about two years ago when there was another discussion on this blog. Here's part of the email I received back, "There was once a Burgerville in Salem, many years ago, that was removed when I-5 was widened. " If these cups were meant to be put in the green waste container they should make that clear on the side. The Burgerville sat right where Hawthorne is today. It will be interesting to see how it goes, but I have to point out that regardless of how "compostable" the cup turns out to be, the majority of these cups will never see a compost pile. Burgerville needs to add a compost receptacle at their store next to the garbage and the counties need to set up compost sites. The Burgerville cup – and all compostable servingware – will not break down in our Earth Machines. They are only biodegradable in a commercial composting facility. (I believe the Burgerville cup says that real small toward the bottom.) For now, you’re stuck throwing it in the garbage. But, there are plans in the works to institute curbside composting for Salem residents. A couple of downtown businesses, including Cascade Baking Co. and the Conference Center, are participating in a pilot program where their compostable waste is hauled to a facility near Corvallis. 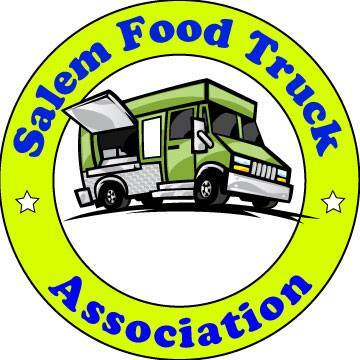 The Salem Saturday Market also plans to provide composting beginning in August! Now I'm going to have to dig the cup up and look for the small print. If you can't compost them at home, wouldn't it have been better to just make them out of recycled paper? Yes, it would make much more sense to provide recyclable cups! But, some cities - including Portland & Woodburn (and hopefully Salem) - are preparing to test curbside composting. So I guess some businesses are just trying to get ahead of the curve. The fact that these cups were made using renewable resources such as corn means they were manufactured without using petroleum as found in most paper cups today. This "front end" part of the cup manufacturing process makes it already ahead of the game. It is true that at the "back end" part of cup disposal, the majority probably wont see a compost pile. However 1 out of 2 isn't bad. Your black bin looks less scary than ours, but we only toss our kitchen scraps into it. If only we could arrange for some lizards (or ?) to get inside to eat all the fruit flies and slugs. Your fruit flies and slugs are a big part of the composting process. Their prescense indicates higher rates of consumption of the organic material. Anonymous, Thanks, that's good to know. I've worried we had a science experiment gone awry. Curbside composting has started in Salem! Get your inside mini-bin to keep compost from spilling at your local garbage hauler. They still have some.